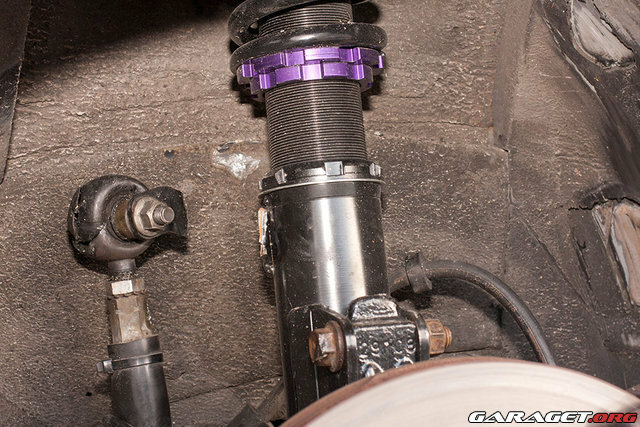 700/900 Coilover kit DOES EXIST! At a fair price. Edit://Ben's stuff is $740 for front and rear, $1200 for super bitchin' front coilovers. Why is everyone so opposed to options? I'm all about the KaplanSwag™ but nothing wrong with choices. Naturally everyone is against a worse option that costs more. Also many warmblooded americans prefer to support other warmblooded americans with the same intrests rather than support an asian company who is just in the money making business that happens to be making car parts. Also, not that I'm an economics expert, but I'd imagine that the more money we give to Ben for his well researched and developed products, the more money Ben will have to reinvest into researching and developing new products! So, the larger his market share, the more he can put out there! Bens kit is gunna be a minimum of $1140 to match the hardware you get with the bcs. As they have camber plates too. Also bens kits don't come with shocks either do they? So in the grand scheme of things these are a great deal cheaper than bens if you were to buy coilover kit, shocks and camber plates. Drift Brick, but Taiwanese people kinda look like Chinese people, and Chinese people are the enemy (and bad). You are missing the modification process to get the BCs to work. NOT a bolt in solution. Ben's is a bolt in solution. Plus. I have no Idea where BC is getting their shocks and springs from. Who knows what kind of quality is put into the shocks/struts. OP, Does BC give you a copy of the Dyno from what your order? Would be nice to see it. I don't give a **** if they are Taiwanese, Chinese, or otherwise, I'll stick with a builder who is reputable and i know I can contact if there is an issue. You're seriously comparing the strut mounts that ship with the BC set to mine? They aren't even the right shape let alone the difference in bearing & material quality. I'll give you a hint into the quality of those parts... I have sold a number of camber plates to FWD owners who have bought BC / D sport coilovers because the ones that come with them aren't so great. I never mentioned quality just like for like price, quality being incomparable or otherwise. Plus their adjusting collars sieze within 6 months, the sway bar brackets break off, and everything oxidizes because their anodizing blows. I suppose if you lived in a nice warm climate and never raced they would make out OK. I had a set of D2s on my other car that were 7 years old and the collars were free. We don't really have to worry about the ARB brackets breaking as they're on the lower arm. Finally at a fair price! Damn, what can this possibly mean. That users of tein suspension beat the ever loving **** out of a car? once i upload more pics ill do it to the original post. I aspire to learn more of the aftermarket suspension and or DIY mods for the 740 chassis and suspension set. I require the best to perform to my expectations. 3031 axle where do i buy a locker or posi? part # anyone? Im all for supporting the volvo community. however ive not known "ben's coilovers" untill now, he doesnt come up in any of the searching for 7 and 9 series suspension upgrades ive researched in the past. It seams most ppls complaints is the lack of support to the home brew community by buying from a growing company who's product is made outside the USA. Ben's kit is slightly more expensive cuz ben himself has put alot of man hours into it im sure. The BC kit can be cheaper cuz they custom machine each kit out of stock tube they have lieing around once the order is placed. Modification process is to weld the front coilover in replacement of the stock strut tube, welding can be a PIA or expensive if you yourself cant do it. By dyno sheet do you mean spec of springs KG's and the valveing of the dampers? or what do you mean? I already support ben, i have, and will continue to purchase more parts from ben. But im all about getting the most bang for my buck. When i think "Coilover" I dont think *Bilstein's inside. They make a nice looking product, but when i seen the front kit i wanted at 1,700 bucks to get the front as adjustable as i had hoped, i started digging deeper for a cheaper solution. My solution, was to be possibly the first TurboBricks user to try the 7 and 9 series coilover kit by BC, Now that ive got them on the car, and ive got it close to adjusted as i like it, ill take more pics, and post the good, and the bad feedback i have about it. I am not biased, there are some things about this kit i dont like. I hope to see less crap talk of unknown company's, untill this BC kit blows a seal or breaks in half, i will continue to believe that this has been good money spent for what i intend to do with it, which is build a Drift car to one day compete in Formula D Pro M.
Where is the +1 for this. I'm happy with the Ksports I have on my 850. I am all for bang for our buck also, but I was commenting on bolt in solutions. BCs are not. I set my car up so it was perfect the first time. The preload on the spring is what I wanted, the ride height is what I wanted, and the shocks are in the middle of the range. There should be no reason to adjust anything after that. The dyno for the custom struts/shocks valving... unless you didn't specify any custom numbers when ordered. If you did and they did send a copy of dyno plots, that would be nice to see what the valving is doing. Or if you know who supplies them with shocks/struts. They could probably have them made by someone else. That is my biggest problem with aftermarket stuff. I know that if I go bilsteins, or konis, I get atleast 100,00miles on them. I have some teins on my evo 9 and really do not like them. Already feel like they are wearing out and they have like 30,000miles on them. Message to OP on his current progress with these now he has had them on for a while ?? ?